This entry was posted in France, Froggy, Froggy's blog, gay marriage, hate, little sun, Paris, racism and tagged gay marriage france, la loi taubira, le mariage pour tous on 19 April 2013 by le petit soleil. i’ve been meaning to post about our magnificent little furbabies, but Froggy beat me to it (and in a much more eloquent way than i ever could have managed). 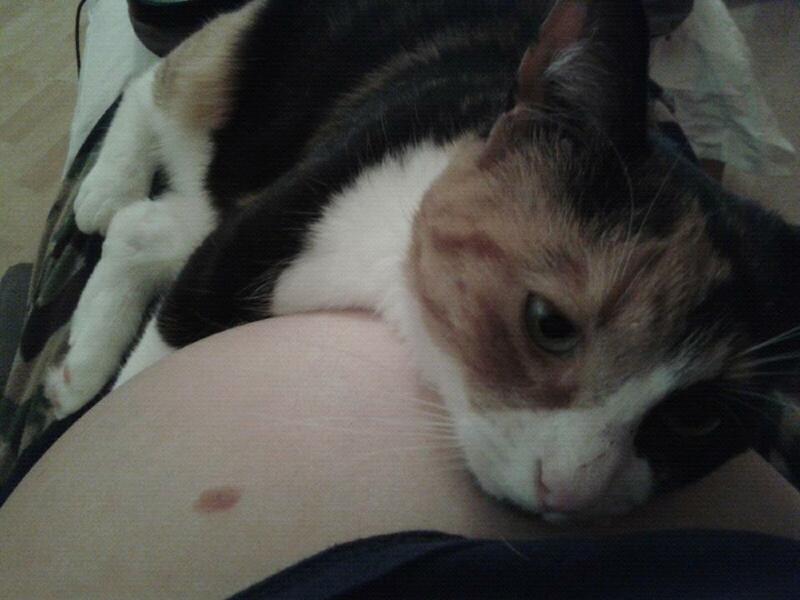 this picture is of my sweet little mikmik and little sun (cleverly disguised as my six-months-pregnant belly). she spent much of my pregnancy on or wrapped around him. look how he used to respond to her. love was already there. i think she misses him, too. This entry was posted in chatons, Froggy, Froggy's blog, little sun, mikmik on 10 April 2013 by le petit soleil.